From Colonial Virginia to the 20th Century oilfields of Bakersfield, California. The name Burton is of English origin, which means "a fortified place." One of the first records of the Burton family and the Burton Coat of Arms is found in the Domesday Book, which was commissioned by William the Conqueror in 1085. The coat of arms at the top of this page reflects that description. Renowned genealogist Worth Ray theorized that the Burton Family of Virginia descended from Newcastle, York and London, as noted in his book, "Tennessee Cousins A History of Tennessee People," (page 644). Mr. Ray noticed the similarity of married names at St. Savior's Southwark in London to those in Henrico County, Virginia. He also noted that the Burton family of Longner Hall descended from the Burton family of Newcastle. Margaret Burton Woods and many other relatives believe that our family descended from the Burton family of Longner Hall located in Shrewsbury, Shropshire, England. One of our cousins, David Paul Burton, visited Longner Hall in 1985. At the time of his visitation, Burton family members were still living at the Longner estate. David Burton described his tour of the manor in Margaret Burton's Book, "Burton our Caswell County, N.C. Ancestry Volume II," published by Beatrice Burton Hornaday, 2016 Haw River-Hopedale Rd., Burlington, N.C. 27217. The manor contains beautiful artifacts including portraits of Sir Edward Burton and Queen Elizabeth I. In 1992, Mr. and Mrs. Cleo Burton had lunch at Longner Hall with Robert and Jill Burton. After they returned home, they received 3 charts that contained 18 of the earliest documented generations of Burton family. The charts provided the following information. Sir Edward Burton made knight banneret by King Edward IV in 1460. King Edward IV knighted Sir Robert Burton in 1478. Sir Edward Burton died on April 23, 1478 and was buried in St. Chads Church Cemetery in Shrewsbury. The charts from Longner Hall also show the names of Francis Burton, Richard Burton, Thomas Burton, and John Burton, who may have traveled together to the Colonial States of America. The charts themselves are not conclusive proof that our family descended from the Burton family of Longner Hall, but it kindles the thought. Hopefully, someone will find the end all proof that will confirm our ancestry from England precisely. Until that time, it might be best to start with the Colonial Burton family of Virginia. The picture above represents the typical fashion for English Colonials of Virginia. 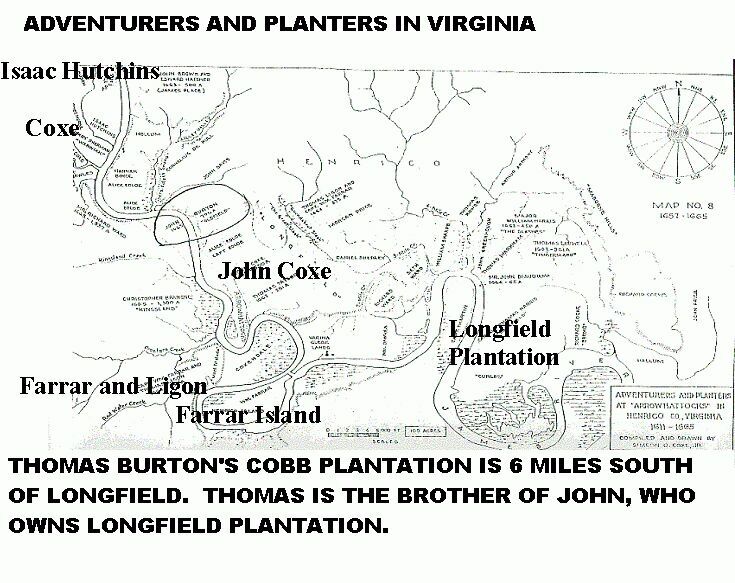 John Burton's brother, Thomas, owned Cobbs Plantation. As such, he was referred to as "Thomas of Cobbs". John Burton owned Longfield Plantation and was referred to as "John of Longfield." Source: "A History of a Colonial Land Patent" 1639-1864 Ancestral Home of Thomas Burton from 1656-1685. Nathaniel Bacon (of Bacon's Rebellion) eventually purchased the Longfield Plantation. Encyclopedia of Virginia Biography, Volume I, III--Colonial Councilors of State: He was a cousin of Lord Francis Bacon and a cousin once removed of Nathaniel Bacon Sr. He purchased a plantation at "Curls," in Henrico county, called "Longfield," and had a quarter at the falls of the river where Richmond now stands. The Randolph family eventually purchased Longfield. Several of the offspring of the Burton family married into families of other plantation owners. Use this link to view the "Descendants of Francis Burton" Web site, which gives great insight on the Thomas Burton family, "Thomas of Cobb Plantation," whose descendants, settled in Kentucky and Tennessee. During Colonial times, the Burton family grows and prospers. Burton offspring of the Longfield Plantation marry into other families of other plantation owners, such as the Farrar family, the Allen family, the Walker family, and the Williams family. Priscilla Farrar's brother, George Farrar, married Judith Jefferson, who was the aunt of President Jefferson. Robert and Priscilla (Farrar) had the following children. On July 20, 1762, Robert Payne, Jr. married Ann Burton, daughter of Robert Burton III (witnessed by Josias Payne and. Val Paine, Goochland County, VA - Marriage Bonds; William and Mary College Qtrly., Vol. 7, No. 2 Transcribed by Kathy Merrill for the USGenWeb Archives Special Collections Project. Robert Payne is the uncle of Dolly Madison, making Ann Burton her aunt by marriage. Judith Burton, daughter of Robert Burton and Priscilla Farrar, married Colonel George Payne, who is a cousin of Dolly Payne (Madison). Dolly is a family friend of Thomas Jefferson. Since President Jefferson is a bachelor at the time of his presidency he asks her to be his first lady. She later marries President James Madison and resumes her role as first lady. Dolly Madison is best known for saving the White House portrait of George Washington from ruin, from a fire that was started by the British during the War of 1812. 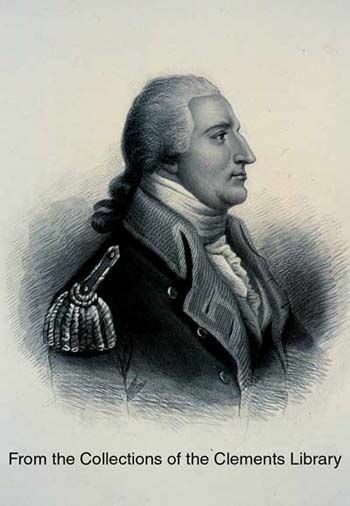 Shortly after Americans discovered that Benedict Arnold was a spy, the British promoted him to brigadier and sent him to Virginia. He then launched successful attacks on forts, ransacked plantations of supplies, and transported plantation slaves to the West Indies, where they were sold. 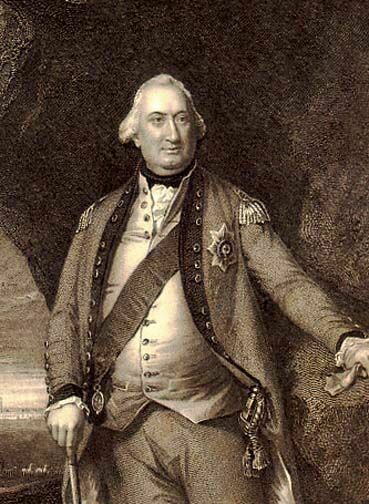 A few months later, in April 1781, General Cornwallis also plundered the plantations along the James River of goods, including all the fine horses he could find. With those horses, he supplied a cavalry of six hundred and went after General Lafayette. After Dealing With the Likes of Arnold and Cornwallis, Several Burton Men Join the Cause of the American Revolution. Noel Burton, unmarried. Served the Continental Army at the Battle of Princeton. Hutchins Burton (Son of Hutchins Burton and Tabitha Minge and grandson of Nowell and Judith) Lieutenant of the 6th Virginia Regulars. He died in service at the Battle of Princeton. 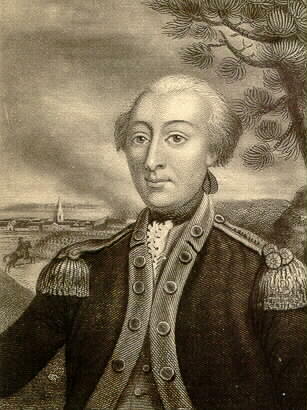 Robert Burton (Husband of Agatha Williams and son of Hutchins and Tabitha) commissioned as a Colonel in the Continental Army. Col. Robert Burton is the son of Lieutenant Hutchins Burton and Tabitha Minge and the grandson of Nowell Burton. He was born in Mecklenburg County, Virginia. He represented Mecklenburg County during the Revolutionary Conventions (1774-76). During the Revolution, Robert Burton was a lieutenant in the continental artillery and, later, quartermaster general of North Carolina with the rank of colonel. He was a member of the governor's council, 1783-1785, 1800-1807, and 1813-1815 and president of that body in 1807, 1813, and 1815. He was elected to the Continental Congress in 1785 but not seated until 1786. He was re-elected in 1787, but there is no record that he attended. A document from the Library of Congress showing Robert Burton's congressional appointment on September 13, 1787. Robert Burton's business ledgers show that he sold a horse to Daniel Boone. 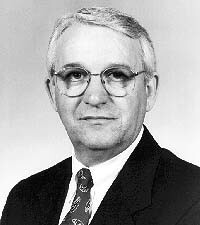 Congressman Robert Burton was part of the commission to establish the Southern state line boundary for North Carolina. 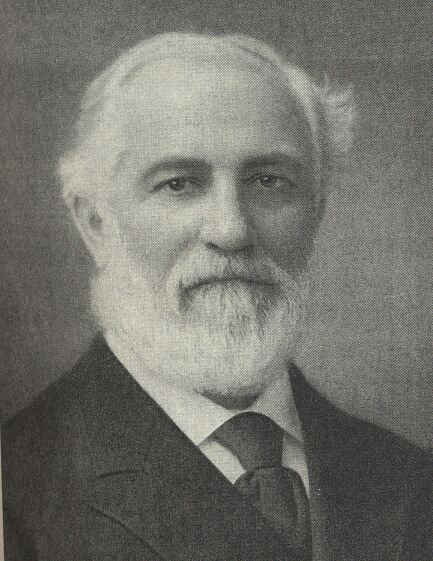 Congressman Robert Burton raised his nephew, Hutchins Gordon Burton. Hutchins Gordon is the grandson of Allen and Mary Burton. Robert Burton took guardianship of Hutchins Gordon Burton after Hutchins' father, John Burton, passed away. Hutchins Gordon Burton was age 3 at the time of his father's death. Burton, Hutchins Gordon (1782-1836) Nephew of Robert Burton, born in Virginia in 1782. He was a member of North Carolina state legislature in 1809 and the state attorney general of North Carolina from1810 to 1816. 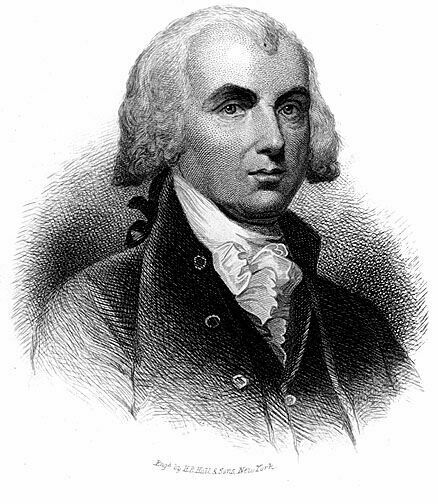 He was also the U.S. Representative for North Carolina; 2nd District, from1819 to 1824. He was the Governor of North Carolina from 1824 to 1827. He died in Iredell County, N.C. on April 21, 1836. His interment is at Unity Churchyard, Beattys Ford, N.C. His congressional biography is available with the Library of Congress. Source: Political Graveyard Web site and Congressional Biography Web site. In 1824, Governor Hutchins Burton guided General Lafayette on a tour of North Carolina. In 1826, President John Quincy Adams appointed Hutchins Gordon Burton as governor of Arkansas, but he was never confirmed by the Senate to take office. Hutchins G. Burton's father-in-law, Willie Jones (a Revolutionary War hero and first Governor of North Carolina), was a very close friend to John Paul. John Paul admired the Jones family so much that he adopted their last name and made his full name, John Paul Jones. Here is some additional information that includes his brother, Allen Jones. The Jones family founded Raleigh, North Carolina. John Paul Jones is considered to be the father of the American Navy. Hutchins Burton's uncle, Robert Burton, presented the State of North Carolina with a bronze bust of John Paul Jones, which had been sculpted by the famous artist, Jean Antoine Houdin. 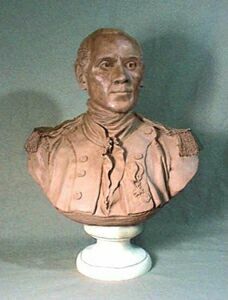 The bust shows Jones in his uniform decorated with the cross he received from Louis XVI. Jones was a small, slightly built man. Houdon managed to capture the positive qualities of John Paul Jones. The portrait shows Jones' strong, resolute face, suggesting his intelligence and decisiveness. Isaac Watts Burton is the third great grandson of Robert Burton and Priscilla Farrar. BURTON, ISAAC WATTS -- Born in 1805 in Clarks County, Georgia, a son of William B. Burton. In 1822 he was appointed a cadet to West Point through the efforts of Judge R. B. Priest and General Elliot, Congressmen from Georgia. He enrolled on July 1, 1822 and withdrew May 25, 1823. In 1831, while in Louisiana, Mr. Burton became acquainted with a young lady whose father was preparing to move to Texas and he decided to follow them. He crossed the Sabine on January 14, 1832 and located about thirty miles east of Nacogdoches, boarding for a while in the home of Benjamin Lindsay. He commanded a volunteer company August 2, 1832 against Jose' de la Piedras who commanded the Mexican garrison at Nacogdoches. The General Council of the Provisional Government of Texas appointed Mr. Burton as a captain of rangers on November 29, 1835. At San Jacinto he was a member of Captain Henry W. Karnes' Company and on April 9, 1861 his estate was issued Donation Certificate No. 344 for having participated in the battle. He received a Headright Certificate for one labor of land from the Nacogdoches County Board, February 12, 1838. Isaac Burton held the rank of Major of mounted rangers while stationed on the coast near Copano. His command captured the boat "Watchman", June 2, 1836, loaded with supplies for the Mexican Army. Later they captured the "Comanche" and the "Fanny Butler," carrying all three boats to Velasco. For this feat his command was known as the "Horse Marines." He was appointed commissioner to treat with Indians November 10, 1836. A member of the senate from the district of Nacogdoches and Houston in the first, second and third congresses October 3, 1836 to January 24, 1839. The senate on January 15, 1839, selected Burton and Albert C. Horton as its commissioners to join with commissioners chosen by the house of representatives to select a permanent capitol for the Republic. Waterloo on the Colorado River was selected and its name changed to Austin. 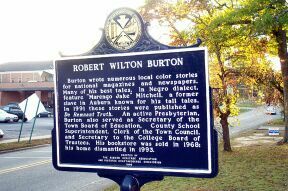 Mr. Burton was a prominent lawyer of Nacogdoches. He moved to Crockett, Texas in 1841 and died there in January 1843. The State of Texas had a monument erected at his grave in the cemetery in Crockett in 1936. Robert H. Burton (born 1781--died 1842) son of Colonel Robert Burton of Granville County, was long an honored citizen of Lincoln county; educated at the University of North Carolina and studied law. He applied himself with such assiduity and fidelity, that he soon rose to the front rank of the profession, and in 1818, was appointed one of the Judges of the Superior Courts of Law, which, after riding one circuit, he resigned. In 1830, he was elected Treasurer of the State, which he also declined. He was much respected as a sincere Christian, an able counselor, and an honest man. He died in 1842, leaving a numerous family to mourn his loss, and emulate his example. Alfred M. Burton (1747-1825), one of several sons of Robert and Agatha Burton of Granville County, N.C., attended the University of North Carolina, 1802, was licensed to practice law in North Carolina, 1807, and in Tennessee, 1808, and settled in Lincoln County, N.C., in the first decade of the 19th century. His wife was Elizabeth (Betsy) Fullenwider. Their children were Robert S., Elizabeth W. (later Hoyle), Mary L., John W., Frances C., William B., and Sarah Virginia (later Young). Sarah Virginia Burton was the second wife of Major Robert Simonton Young of Cabarrus County, N.C., who fought with the 7th North Carolina Regiment and was killed in the Civil War. Sarah Virginia's stepson, John Phifer Young (1845-1863), also with the 7th, was also killed in the war. Numerous Burton family members joined the cause of the Confederacy. This is an account of just a few of those men. He is the grandson of Joel Yancy and Anne Burton and the 3rd great grandson of Robert Burton and Priscilla Farrar. In May 1861, he was commissioned as Colonel with the 5th Alabama Infantry Regiment. By October 1861, he was appointed Brigadier General, and he led his brigade at Fair Oaks, Gaines's Mill, Fredericksburg, and Chancellorsville. He was promoted to Major General in May 1863, by the dying request of General Stonewall Jackson. General Rodes commanded his division at Gettysburg, the Wilderness, and Spotsylvania. He went to Shenandoah Valley in June 1864, where he served under Early and fought at Kernstown and elsewhere. He died from exploded shrapnel that struck his head at Winchester, VA, on September 19, 1864. My wife has got another fine son, born since I left home. It (the child) is two months old the 5th of this month, so I have got two boys now. I have not been home since the last of November and I don't know when I will get home again (or) whether I ever will get home again alive or not. Though if I fall in the field of battle I will die in defense of my country and home. If I never see you all any more on earth, that we will meet in heaven. Remember me in your prayers day and night for I am exposed to the evils of camp life and will be for some time, if peace ain't made soon. My best love to you and family. John A. Burton died from pneumonia at the age 28. He perished while in camp near Atlanta, Georgia. He is the older brother of Thomas Jefferson Burton. Perrin Burton and Amarintha Elizabeth (Robarts) Burton. Burton and her five children moved northwestward across the state of Georgia some three hundred miles and settled in the town of LaFayette, Chambers Co., Alabama. in the 47th Alabama Regiment which was composed of men from Chambers, Randolph, and Tallapoosa counties. men from both Chambers and Tallapoosa counties. paroled and released from captivity. After the war the three brothers rejoined their family in LaFayette. Dr. John R. Burton continued his practice of medicine. Capt. Joseph Q.
fame as an author of several of the best-loved stories. His stories used the vernacular of African Americans during that time in the South. Thomas Burton (my 2nd great uncle), the third child of Lousia and Hutchins Burton enlisted with the Confederate Army on February 26, 1862. (He fought alongside his cousins, who were captured the same day.) He was 1st captured at the battle of Vicksburg on July 4, 1863. He was released after taking the oath. In 1864, he was captured for a second time at Altoona, Alabama and transported as a prisoner to Camp Douglas in Chicago Illinois. He died while imprisoned there, possibly from diphtheria. Confederate prisoners of war at Camp Douglas, c. 1864. During the Civil War, Camp Douglas, originally constructed at Thirty-first Street and Cottage Grove Avenue as a Union Army training post, served as a Confederate prisoner-of-war camp. 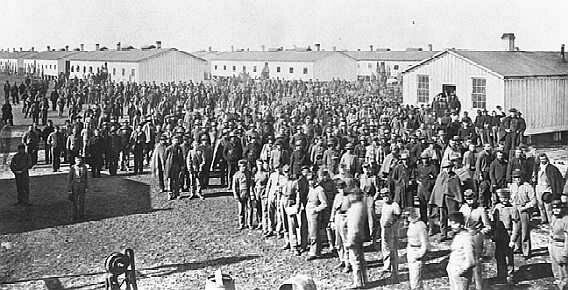 Between 1862 and 1865, the camp housed about twenty-six thousand prisoners. As a result of harsh conditions, some four thousand men died at the camp; they were buried in unmarked paupers' graves in Chicago's City Cemetery, located at the southeast corner of what is now Lincoln Park. In 1867, the remains were re buried at Oak Woods, five miles south of the original camp. Brigadier General Robert F. Hoke CSA, distinguished himself during battle. Within less than a year, he rose from the rank of Lieutenant to that of a Major General. At the age of 26, he was the youngest officer of that rank in the Civil War. Of the 125,000 men his state contributed to the Confederate cause, it was Hoke who was called "the North Carolina Lee" and "the most distinguished soldier in North Carolina." In a face-to-face meeting after the war, U. S. Grant admitted that Hoke had administered "the worst drubbing I ever got," at Cold Harbor. He fought in nearly every significant battle in the Eastern theater-Gaines' Mill, Malvern Hill, Second Manassas, Antietam, Fredericksburg, Chancellorsville, Plymouth, Petersburg, Richmond, Cold Harbor, Fort Fisher, Bentonville. He witnessed the first Confederate casualty at Bethel and provided the rear guard as Joseph E. Johnston met Sherman at Bennett Farm to arrange the surrender of the Confederacy. (I highly recommend this book. It is thoroughly researched, well written, and speaks of someone who is a true hero of his time.) The following is an excerpt from the book: During the battle of Fredericksburg, General Hoke was shot from his horse. Weakened by the loss of blood, he fell to the ground. A minie ball had shattered his shoulder bone near the joint. While General Hoke was recuperating from his wound, Colonel Isaac Ewrin Avery took command of Hoke's brigade during the battle at Gettysburg. Colonel Avery rode upon Hoke's horse to lead the fighting forces up Cemetery Hill, when the bullet of a Union rifle caused him to slump away from the steed. Avery's last act of life was spent writing this short note to his father, "Major: Tell my father that I died with my face to the enemy. I. E. Avery." Robert F. Hoke was a classmate of Lee and a good friend. 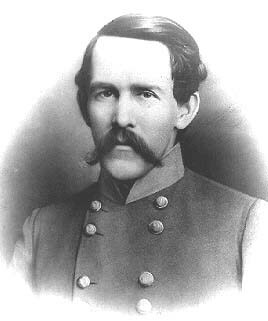 General Hoke was a hero of the Confederacy. He had captured 3,000 prisoners in the battle at Plymouth. He was a spirited and inspiring commander. North Carolinians were proud of the successes they achieved under him. Robert Hoke was living in Raleigh in 1911, with a highly successful career with the railroad industry when he agreed to lend his name to a North Carolina County. His name and popularity helped make the creation of the ninety-ninth county of North Carolina possible in 1911. General Hoke's brother, Dr. George Hoke, also served in the war as both an adjutant and assistant surgeon. Poor health forced him to resign from service in 1864. He passed away on November 1, 1866. Robert F. Hoke's son, Dr. Michael Hoke, was a leading orthopedic surgeon of his time who helped found Shriners' Hospitals for crippled and burned children. He was also an advisor to President Franklin D. Roosevelt. 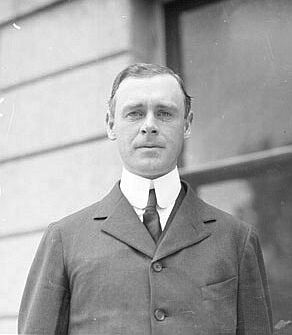 General Hoke's nephew, Hoke Smith 1855-1931, became the Secretary of the Interior during Cleveland's administration. He acquired the Atlanta Journal in 1887. He served (1893-96) in President Cleveland's cabinet as Secretary of the Interior. He later was governor of Georgia (1907-9, 1911) and U.S. Senator (1911-21). Burton Norvell Harrison, born 1838 in New Orleans, Louisiana. He, like Brigadier General Robert Emmett Rodes and Texas Ranger Isaac Watts Burton, is a 3rd great grandson of Robert Burton and Priscilla Farrar. His parents are Jesse Burton Harrison and Frances Anne Brand. Toward the end of the Civil War, Burton Harrison was captured and taken prisoner at Fort Delaware. He was released from Fort Delaware on January 16, 1866, mostly through the unwavering work of his wife, Constance Cary (Mrs. Burton Harrison). Grave and Gay," which provides a great amount of information about southern life during the Civil War, with special attention to the trials and tribulations of family members. She is the grand niece of Thomas Jefferson. During the First Battle of Manassas, also known as Bull Run, Confederate General P.G.T. Beauregard, struck by the difficulty of distinguishing Union and Confederate flags, resolved to create a more unique standard. Thwarted in his efforts to have the Confederate Congress change its national flag, he successfully proposed a battle flag, the Southern Cross. To commemorate the flag's design, three original versions were hand-sewn for famous Confederate generals, including General Beauregard, by Constance Cary and her cousins Hettie and Jennie Cary of Richmond. General Beauregard eventually presented his to the Washington Artillery. It ultimately was donated to the State Museum of Louisiana. Constance Cary's cousin, Hettie Cary, married Major General John Pegram. 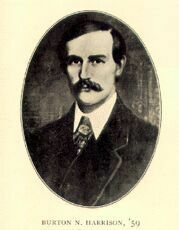 The son of Burton Norvell Harrison and Constance Cary Burton Harrison is General Francis Burton Harrison. He made the rank of general during the Spanish American War. Francis Burton was then appointed as Governor of the Philippine Islands. He truly enjoyed the Philippine Islands and for a great deal of his career worked vigorously for the independence of that nation. He is the author of "The Burton Chronicles of Colonial Virginia," which is a major resource book used for numerous genealogists. Orville Vernon Burton is Professor of History and Sociology at the University of Illinois, Urbana-Champaign. He is also a Senior Research Scientist at the National Center for Supercomputing Applications, where he heads projects that deal with the Humanities and Social Sciences. His major areas of research are race relations, family, community, southern history, and religion. There are numerous articles of his work in a variety of journals. He is a Pulitzer Prize nominated author. Some of the books that he has either authored or edited include, "In My Father's House Are Many Mansions," "Family and Community in Edgefield, South Carolina (1985)," "Computing in the Social Sciences and Humanities," " The Free Flag of Cuba: The Lost Novel of Lucy Holcombe Pickens," "A Gentleman and an Officer, A Military and Social History of James B. Griffin's Civil War," and "Toward a New South?" He is currently working on a new book concerning the Civil War. Dr. Burton is the current President of Agricultural History Society. He is recognized with teaching awards at the department, school, college, and campus levels. Among his honors are fellowships from the Rockefeller Foundation, the National Endowment for the Humanities, the Pew Foundation, the National Science Foundation, the American Council of Learned Societies, the Woodrow Wilson International Center for Scholars, the National Humanities Center, and the Carnegie Foundation. He was a Pew National Fellow Carnegie Scholar for 2000-2001. His mother, Vera B. (Human) Burton instilled in him a love of the Lord. He credits his mother for praying him into Furman University. At Furman, he excelled in studies and developed his fervor for history and social equality. He chose to attend Princeton for his graduate studies. The following link provides a more detailed account of his upbringing in 96 South Carolina and his career achievements: Interview with Orville Vernon Burton. 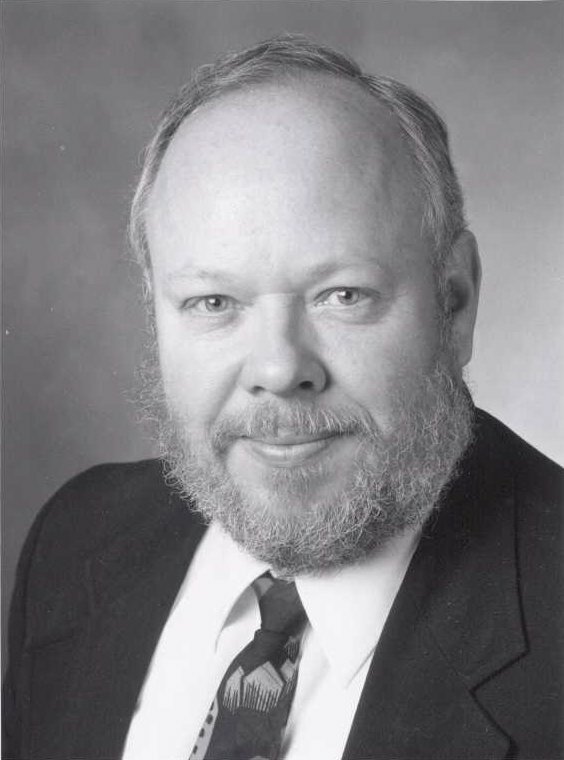 On June 7, 2000, Senator McGaha was awarded the "KASS Senate Legislator Award" from the Kentucky Association of School Superintendents, and on June 26, 2000 he was awarded the "Pal Award" from the Kentucky Association of Elementary School Principals. Both awards were given for Excellence in Contribution and Promotion of Educational Issues in the General Assembly. Senator McGaha's current committee assignments: Agriculture and Natural Resources, Appropriations and Revenue, Economic Development, Tourism, Nat. Resources & Environmental. Protection, Economic Development, Tourism & Labor, and Education. After the Civil War, my branch of the Burton family, along with other family friends, made a mass move to Arkansas. Thomas Jefferson Burton moved from Kemper County, Mississippi to Jackson, County, Arkansas with his grandparents, Thomas Farrar Burton and Nancy Burton. Andrew Jackson Burton and Nancy Davenport Burton joined the move. All of the families traveled by wagon train, most of them walking along the way. The land where they chose to settle was wild and untamed. The settlers had to deal with bears and the harsh environment. To make matters worse, they also had to endure the greediness of carpetbaggers. Hutchins Burton, his son William, and daughter in-law Mary C. Burton, also made the move to Arkansas. (Louisa died prior to the end of the Civil War.) William's brother, Robert, remained in Mississippi to work as teacher. The Walker family soon joins the Burton family in Jackson, County, Arkansas. In 1870, both William and Mary C. Burton were both 30 years old, according to a census taken in Jackson County, Arkansas. In a span of 7 years, from 1870 to 1877, the family of William and Mary C. lost 5 family members including, both William and Mary C., Mary's C's mother, Eliza Burton, their oldest son Robert and their oldest daughter, Mary. A Mr. T.H. Turnipseed was appointed as the legal guardian of the remaining children. A family relative, S.G. Hite, assumed guardianship of the youngest child, Thomas William (my great grandfather), after the demise of Mr. Turnipseed. Sometime in the early 1900's Thomas took his family and moved to Texas, where their first three boys were born, William Edward "Bill," born in 1901, Herbert Shelly born in 1903, and Julius Russell born in 1906. Thomas moved the family back to Arkansas, where three daughters were born, Myrtle May in 1908, and twins Ora and Dora were born in 1910. He then moved the family to Oklahoma. Two more sons, Carl and J. C. were born in Roosevelt, Oklahoma, in the years 1915 and 1918 respectively. Burtons come of age in Roosevelt, Oklahoma. In 1948, Herbert and Jessie moved to Bakersfield, California. These are the children, grand children and great grand children of Thomas and Laura Ida (Walker) Burton. Link to the Burton Family of Indiana, descendants of John Pleasant Burton. My branch of the Burton Family goes coast to coast in less than 300 years! Is Kentucky judge Allan A. Burton a member of our family, as one genealogy book authored by Mr. Goodspeed seems to suggest? President Abraham Lincoln appointed A. A. Burton as the Minister of Columbia. The last account that I can find of him is in an historical paper dated February 16, 1871, which states that he and other "San Domingo Commissioners" were feared lost at sea while aboard the U.S. steamer Tennessee in route to the Dominican Republic. Are we related to the Burton family who operated the Burton Stagecoach? The stagecoach was in use from 1896 until 1915 on the route from Monticello (Wayne County) to Burnside (Pulaski County) and was the last operating stage line east of the Mississippi River. Are we related to the Burton family who settled Colonial Delaware at approximately the same time that Thomas and John settled their lands along the James River of Virginia? The Longner Scrolls obtained by cousin Cleo Burton seem to suggest the possibility of a Richard Burton who may have traveled to America. If so, is there a possibility that we are also related to Delaware Governor William Burton of Civil War fame? I am looking for family information on Tennenton Burton of Georgia. His son, Pleasant Burton, was born in Baker Co, GA in 1834, appearing as a 16 year old farm laborer in the 1850 census in Montgomery Co, GA and then living out his entire life in Montgomery Co, GA until he died in 1900. From 1850, he never left Montgomery Co, GA, except for while he served in Company G in the 32nd Georgia Regiment of the Confederate Army. A Confederate Kentucky sharpshooter by the name of George Hector Burton may be part of our family, but I cannot make the connection. I am almost sure that we are related to this Burton family of Kentucky because of familiar names, but I cannot make the connection. Does anyone else have additional information?